Patty had just waved to her twin boys as they got on the school bus when her mobile phone rang. The voice was unfamiliar. “Professor Coleman, this is Mel Ott. I'm doing some classroom trading for a bunch of Navy Seals and Army Rangers at a location about an hour from Ivy U. I wondered if you could conduct a workshop on critical thinking for these folks?” Ott asked. 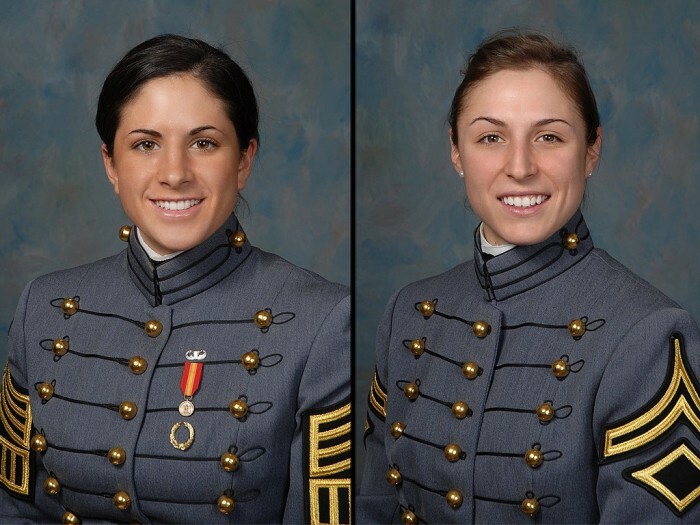 Captain Kristen Griest (West Point 2011) and First Lieutenant Shaye Haver (West Point 2012) the first Female Army Ranges. They completed Ranger School in August 2015. However, a few moments later, an outline for a workshop was forming in her mind. One topic would be: Which animal is implicated in more human fatalities in the US each year? A few moments later, Patty was in the Engineering building complex and was rounding the corner to her office. She saw Pete and Rob waiting outside the door. “By the looks on your faces, I can tell that we must have another assignment from Mike Madigan,” she said with a chuckle. “This one is a little strange - even for him,” Pete began. “Yeah! Look at this note he sent us,” Rob chimed in. Ever since the three of them left ACME to join the ranks of Ivy University, ACME CEO Mike Madigan continued to use their services. They were paid a fair consulting fee, which all agreed more than paid for Christmas presents and vacations. In addition, Madigan convinced the Board of Directors at ACME to generously contribute to Ivy U’s general fund. In the three times Patty had met Ivy U’s president, he pointed this out to her with his appreciation. So, the bottom line was that the three of them were quite responsive to Mike’s requests. “Team, our biggest customer is concerned with voiding. They claim it to be their number one concern. Since the three of you left, we have drifted a bit in keeping on top of these things. I am away for a week in Eastern Europe and my wife and daughter are joining me after that for a bit of a vacation in Slovakia. My wife’s heritage is from there, steeped in the traditions of the Rusyn peoples. So, she wants to visit the hometown of her great grandfather. Bottom line is that I will be gone for more than two weeks, without reliable Internet access, so I will be out of touch. “It’s just like Mike to give us an assignment with no details and we can’t ask him any questions and he schedules the meeting without asking if we are available,” grumbled Pete. “I, for one, think it is great he is going on vacation,” Patty said brightly. “Well, what is our plan?” Patty asked. “I’m almost certain that they are not interested in ‘champagne voids’, “ Rob pointed out. “I agree, since they are mostly associated with immersion sliver finish while ACME’s customers mostly use OSP finish,” Pete added. “I think the big issue today is voiding in quad flat pack no leads (QFN) thermal pads, BGA voiding is sort of passé,” Rob suggested. 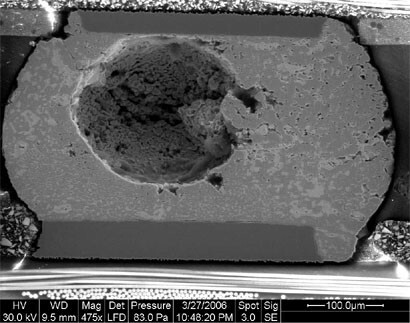 A BGA Void Image, taken by Calce. “Oops! We are supposed to call them bottom-terminated components (BTCs), right?” Patty asked. “OK. You’re right on that one,” Rob chuckled. “So, let’s focus on BTC thermal pad voids. But, I think, for completeness, we should cover BGA voids, too,” Patty said. “Pete, if you can cover BGA voids Rob and I will pull together something on BTC voids. Let’s put it on our calendars to meet one week from today to review our material,” Patty sort of commanded. “Yes, ma'am,” Pete and Rob said in unison. Patty was about ready to get annoyed, but they all burst into laughter as they got up to leave her office. Even though Patty was now a prof, she still had a lot of manager in her! BTW, of the animals listed, deer are the #1 killer in the US. Mostly involving car accidents.